Color remains true all day long. Blushing Blush Powder Blush is a powder blush with a long-wearing color-true formula. Comes with a pony hair brush to effortlessly sculpt and define your face. 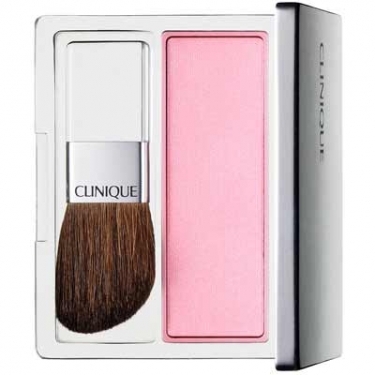 Especially formulated for those who prefer powder formulas, this blush gives natural radiance and long-lasting effect. In addition, color stays true thanks to its jet-milled light-weight formula. Its pony hair brush gently contours and defines your face. This brush was especially designed to easily color your apples. Its wide range of shades builds to desired intensity. It blends easily and beautifully with Clinique's makeup products. Use a full soft brush and apply a thin layer. Avoid the artificial look and do not exaggerate. Brush along the cheekbone sweeping upward to ear line. Apply with fast light-weight strokes.